Lecia H. is fantastic. She is very efficient and really knows her stuff. She handled all my paperwork and answered all my questions. Thank you so much Allmand Law. I had a great experience with the Allmand law group expecially the staff attorney very experienced. My first time ever filing bankruptcy nervous my first time and didn't know if I was making the right decision but they where kind and had all the answers to my questions. My case was settled FAST and EASY. I am free of all the threats and calls. I even was given a payment plan on the lawyers bill. I would recommend them to everyone. They have answered and took care of my current situation they are very thoughtful and understanding. Couldn't be happier with the performance of everyone on this team! Answers all my questions in a timely matter. With Allmand Law the process of Bankruptcy was very smooth, Quick answers, clear explanation we are very pleased with customer service. Thanks to the Allmand staff. Making it happen above and beyond. What a ride Perhaps we should consider video response. Not enough words to express or say thanks awesome above and beyond Oscar award performance:)!!!! I was very pleased with Allmand Law Firm. They SAVED MY LIFE and gave me a new beginning. A great burden was lifted when it was all said and done. Thank you so much. I was so nervous about filing for bankruptcy. But, from the moment I talked to Stacie on the phone, I felt at ease. This is such a welcoming place and they really do care about their clients. I would recommend Allmand Law to anyone in a difficult financial situation. That desire and drive to succeed led Allmand to Abilene Christian University in Abilene TX, where he majored in Finance and Accounting, graduating with a Bachelor of Business Administration degree, followed by a Juris Doctorate from Texas Wesleyan University School of Law in Fort Worth. The combination of business and legal education with both the religious and laic perspective has helped Allmand fulfill his personal and professional goals. Why Choose Allmand Law Firm, PLLC? At Allmand Law Firm, PLLC, our goal is to help each of our clients pursue a fresh start and the second chance they need to start again. Committed to helping our clients smooth out rough financial patches, we can be relied upon to handle your case with sensitivity and respect. We are not here to judge; we’re here to help you toward a better future. Our Dallas-Fort Worth bankruptcy attorneys have already helped thousands of debtors achieve financial freedom – now, it’s our turn to help you. Schedule your FREE financial empowerment session with our attorneys. Sign up today. It’s absolutely risk-free. Bankruptcy is a viable debt relief solution for many people. 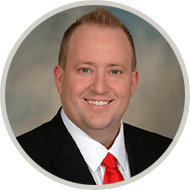 Our lead attorney, Reed Allmand, is an experienced consumer bankruptcy lawyer certified in Consumer Bankruptcy by the Texas Board of Legal Specialization. We take a results-driven approach, going the extra mile for the people we represent.  With a “Superb” rating from Avvo, you can have confidence in Allmand Law Firm, PLLC to help you get back on your feet after a period of financial stress. In person or over the phone, the bankruptcy attorneys at Allmand Law Firm, PLLC are ready to meet with you to evaluate your case. Not only will we conduct a full analysis of your situation in order to determine if we are the right fit for your case, but we can also help you decide what course of action would be most beneficial. Schedule your free financial empowerment session today!